First week of 2015 and already a lot of things have happened in the first week! Let’s take a look at what has happened! On January 1st Morning Musume ’14 became Morning Musume ’15. I still think the whole name change is ridiculous, but I’ve accepted it. I hope this will be a good year for Morning Musume ( hopefully without any graduations). I’m also hoping for Zukki’s quick recovery! It’s also their first time performing with 12th gen, unfortunately without Zukki though… It’s still great to see 12th gen fit in nicely with the others! Even bigger news was the new unit announcement on January 2nd on the first day of Hello! Project 2015 winter tour! It’s a new Hello! Project consisting of 8 Hello! Pro Kenshuusei members; Rio Fujii, Ayaka Hirose, Ayano Hamaura, Natsumi Taguchi, Rena Ogawa, Minami Nomura, Sakurako Wada and Rei Inoue. I’m glad they’re making more use of the Kenshuusei. It was also revealed that ANGERME will have a Budokan concert on May 26th this year. I think it’s a little bit quick for an announcement like this, Budokan doesn’t have much meaning anymore when they have these concerts so easily. 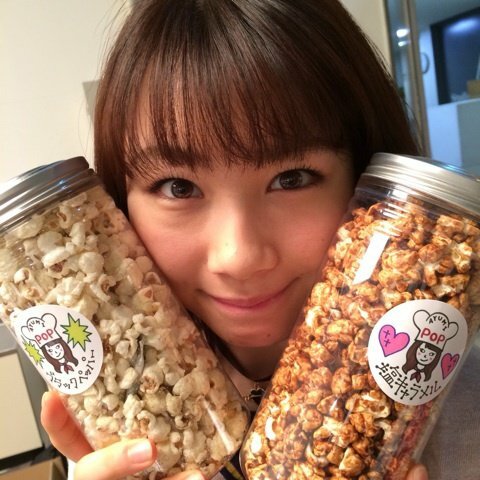 On January 7th Morning Musume’s Ayumi held her birthday event! The event was held at the Tokyo FM Hall, and she celebrated her 18th birthday. Congratulations! It was also announced that ANGERME’s Rikako will release her first solo blu-ray ‘Greeting ~Sasaki Rikako~’. It will be released in February. It’s not surprising Rikako is getting her first solo blu-ray so soon, especially since she seems so popular and she is rather cute! That’s the most important stuff that has happened this week! That’s it for now!